Madeline has dense (7.2 lbs blanket and neck with just under one year of growth), lustrous, locked, and silky, fine fiber on a square, solid frame. Maddie is silver gray on the back of her head and neck. She is a one of our favorite girls. 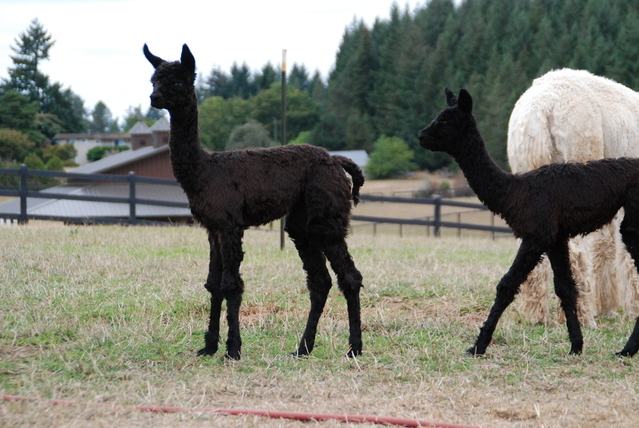 Madeline and Cracker Jax produced a very pretty solid silver gray female in 2010. Sombra is a beautiful jet black, high luster, dense female that Brad and Jandy purchased from Nancy Turner of Old Fields Farm. Her presence is incredible and she carries herself regally. 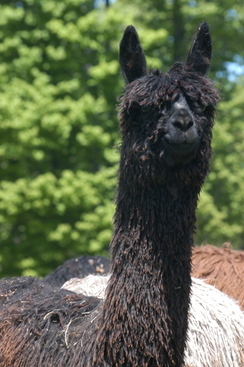 She was bred to GLR Picasso and gave birth to a beautiful true black Picasso daughter, GLR Sombria in 2015 was a member of their show string in 2016, winning the Black Female Color Championship at the AOA Nationals, MAPACA Jubilee and GWAS and the Reserve Black Female Color Championship at the AAA Futurity standing next to GLR Miss Phoebe. 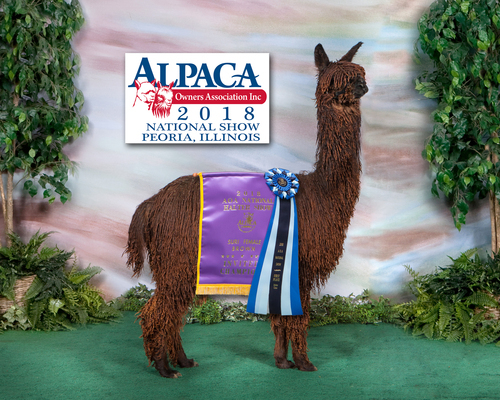 Given Picasso's track record of three Judges Choice awards with a dark brown and a black female in 2014 and 2015, we are anxious to see if this little girl can keep up with her relatives in 2017! Mike and Janet Wilkins of Wilkins Livestock LLC are the new owners of this fun little girl. 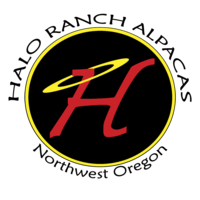 Congratulations and thank you so much! 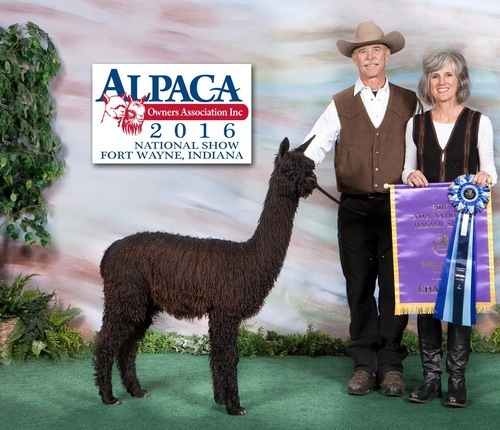 Sombra Negra's 2016 cria is from GLR Picasso and is a beautiful brown female named GLR Sloan is a National Supreme Champion winner.